Fossil makes things you can wear, Misfit wears things you can wear. Fossil wants to make smart wearables, Misfit makes smart wearables. Fossil does fashion, Misfit does fashionable gadgets. If it sounds like a match made in heaven, then you know what the two companies were thinking when they brokered a deal to make Misfit part of Fossil's corporate portfolio. The purchase is valued at $260 million, no small bet on the part of Fossil on the legitimacy of both Misfit and the smart wearable market in general. Fossil had until now only just begun treading into this area, releasing an activity tracker and forging some partnerships with bigger players. According to Fossil, the plan moving forward will be to use Misfit's expertise across the range of Fossil-owned brands. They appear committed to continuing Misfit's growth as its own company and using their connections to get them greater presence in the retail market. At the same time, indications are that the real appeal for Fossil is to make new devices under their current brands using the know-how they bought from Misfit. If nothing else, this is yet another signal that smartwatches and the like are neither just a technical challenge nor just an aesthetic one. When you know you can make something that looks nice and don't know anything about technology, you're better off bringing in some experts. 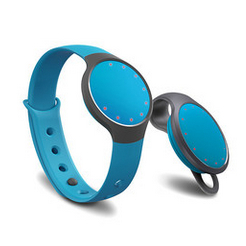 RICHARDSON, Texas, Nov. 12, 2015 (GLOBE NEWSWIRE) -- Fossil Group, Inc. (NASDAQ:FOSL) today announced that it has entered into a definitive agreement to acquire Misfit, Inc., an innovator in wearable technology and stylish connected devices. The acquisition will enable Fossil Group to expand its addressable market, offering consumers both traditional timepieces and fashionable connected accessories. Misfit brings to Fossil Group a scalable cloud and app platform, a world-class software and hardware engineering team, a native wearable technology brand and a pipeline of innovative products. "We have a significant opportunity to add technology and connectivity across our platform of watches and accessories," said Kosta Kartsotis, chief executive officer of Fossil Group. "With the acquisition of Misfit, Fossil Group will be uniquely positioned to lead the convergence of style and technology and to become the fashion gateway to the high-growth wearable technology and connected device markets." Own a technology platform that has already solved many of the hardest problems in wearables, including battery life. Scale Misfit's technology across Fossil, Skagen and a targeted portion of its portfolio of 16 brands in 2016, ultimately accelerating the company's connected accessory roadmap. Expand its addressable market with new distribution channels, new products, new brands and new enterprise partnerships, including music, fitness, healthcare and digital entities. Lead in the connected devices space by harnessing the power of a world-class software and hardware engineering team spearheaded by Misfit Founder, Sonny Vu. "We fundamentally believe consumers care about both technical functionality and fashionable design. In fact, one without the other is simply not enough. With the acquisition of Misfit, Fossil Group will be positioned to win with the connected consumer," said Greg McKelvey, chief strategy and digital officer of Fossil Group. "Our world-class design and global distribution, combined with Misfit's technology platform, creates a significantly advantaged, multi-brand and global wearable technology business poised to drive the convergence of fashion and technology." "We are thrilled to join forces with Fossil Group to usher in the next era of wearables where elegance, beauty and long-lasting wearability are paramount," said Sonny Vu, founder and chief executive officer of Misfit. "Together, we will introduce products that blend Misfit's seamless, intuitive technology and user experience with the design, style and branding that is the hallmark of Fossil Group." Fossil Group expects the acquisition to close before the end of fiscal 2015, subject to customary closing conditions and regulatory approval. The purchase price of $260 million, including transaction costs, will be funded through a combination of cash on hand and bank debt. Sonny Vu will serve as president and chief technology officer of connected devices for Fossil Group, Inc., and will be a member of the company's executive leadership team. See related press release titled, "Fossil Group, Inc. Reports Third Quarter Fiscal 2015 Results" for additional details regarding the acquisition. Misfit invents and manufactures connected wearable products sold around the world at various retailers and on www.misfit.com. The Company was founded in 2011 by Sonny Vu with John Sculley, the former CEO of Apple and Pepsi, and Sridhar Iyengar, co-founder and former CTO of AgaMatrix. Certain statements contained herein that are not historical facts, including future earnings guidance as well as estimated impacts from foreign currency translation and restructuring charges, constitute "forward-looking statements" within the meaning of the Private Securities Litigation Reform Act of 1995 and involve a number of risks and uncertainties. The actual results of the future events described in such forward-looking statements could differ materially from those stated in such forward-looking statements. Among the factors that could cause actual results to differ materially are: changes in economic trends and financial performance, changes in consumer demands, tastes and fashion trends, lower levels of consumer spending resulting from a general economic downturn, shifts in market demand resulting in inventory risks, changes in foreign currency exchange rates, risks related to the acquisition and integration of Misfit, and the outcome of current and possible future litigation, as well as the risks and uncertainties set forth in the Company's Annual Report on Form 10-K for the fiscal year ended January 3, 2015 filed with the Securities and Exchange Commission ("SEC"). These forward-looking statements are based on our current expectations and beliefs concerning future developments and their potential effect on us. While management believes that these forward-looking statements are reasonable as and when made, there can be no assurance that future developments affecting us will be those that we anticipate. Readers of this release should consider these factors in evaluating, and are cautioned not to place undue reliance on, the forward-looking statements contained herein. The Company assumes no obligation to publicly update or revise any forward-looking statements, whether as a result of new information, future events, or otherwise, except as required by law.